Your Lib Dem Focus Team have had a number of inquiries this week about brown garden waste bins not being emptied on the scheduled day; around New Invention it should be Thursdays on a three week cycle. It’s not the first time its happened so I have made extensive inquiries with Clean and Green to try to get to the bottom why this should be. There would appear to be a number of things which, coming together, have led to bins being emptied late, that’s the definition used by Clean and Green, by that they (Clean and Green) are trying to make the point that bins aren’t being missed, they are just not reaching all streets on the scheduled day. To you and me it’s the same as being missed but I can see what they are getting at. So the reasons I am told for bins being emptied late are that they have moved to a 3 weekly collection. That’s fine so far. We all knew that was going to happen and why. At the same time as the new schedules there have also been major changes to the routes taken by each crew. 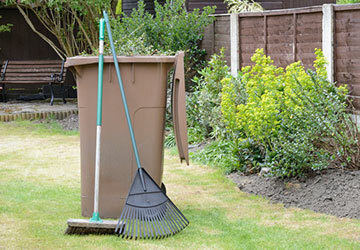 Add to that the fact that the contracts that the crews on the Brown Bin service are different to those who crew the Grey and Green Bin services, the Brown Bin service only operates for part of the year so it’s a more temporary nature. Just to make matters worse, two of the bin wagons on the Brown bin routes have had reliability issues (in other words they’ve broken down a few times) then perhaps you can begin to see that it’s no wonder there have been problems. The upshot of all this is that if your bins are not emptied on the designated day it will be that the service has been delayed so, as most of you will no doubt have done, leave the bin out, they will catch up the next day. The feedback we are getting from residents is that that is the case. Having had this conversation with Clean and Green I was given assurances that more information is going to be provided on the Council’s website.